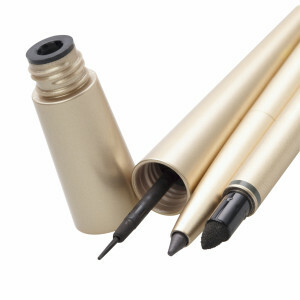 Carbon black is a dark black powder used as a pigment in cosmetics such as eyeliner, mascara and lipstick. It is produced by incomplete combustion of carbon-based products such as coal tar, and has been linked to increased incidence of cancer and negative effects on organs. VULNERABLE POPULATIONS: All people are vulnerable, but especially industrial workers and women. HOW TO AVOID: Read labels and avoid cosmetics and personal care products containing carbon black, D & C Black No. 2, acetylene black, channel black, furnace black, lamp black, and thermal black. Federal Register Final Rule- 69 FR 44927 July 28, 2001: Listing of Color Additives Subject to Certification; D & C Black No.2. U.S. Food and Drug Administration. Available online. July 14, 2014.
 International Carbon Black Association. Available online. July 14, 2014. Wisconsin Department of Health Services. Carbon Black. Available online. July 14, 2014. Regulation (EC) No 1223/2009 of the European Parliament and of the Council of 30 November 2009 on cosmetic products. Available online. July 14, 2014. National Toxicology Program. Report on Carcinogens, Twelfth Edition. Polycyclic Aromatic Hydrocarbons. Available online. July 18, 2014. National Toxicity Program (NTP). Available online. 2014. Weinand F., Statement regarding the presence of Polycyclic Aromatic Hydrocarbons (PAHs) in Carbon Black. Evonik Industries, 2009. NIOSH Pocket Guide to Chemical Hazards. Carbon black. Available online. July 11, 2014. Chemicals Known to the State to Cause Cancer or Reproductive Toxicity. Available online. July 11, 2014. IARC Monographs on the Evaluation of Carcinogenic Risks to Humans. Carbon Black evaluation and rationale. vol. 93, pp 190-1. Centers for Disease Control and Prevention. Available online. July 14th. U.S. Department of Health and Human Services. Occupational safety and health guideline for carbon black potential human carcinogen. Available online. July 16, 2014. Ramanakumar A., et al. Risk of lung cancer following exposure to carbon black, titanium dioxide and talc: Results from two case-control studies in Montreal. Int. J. Cancer, vol. 122, pp 183-189, 2008. Kim H., et al. The impact of intratracheally instilled carbon black on the cardiovascular system of rats: evaluation of blood homocysteine and hyperactivity of platelets. Journal of Toxicology and Environmental Health, Part A: Current Issues, vol. 75, no. 24, pp 1471-83.